How do you take MediJoint Health to improve the health of your joints and cartilage? What are the symptoms of migraine headaches? Is there help for migraine headaches? Can you prevent migraine headaches? How does MediMigraine help relieve migraine headaches? How does MediMigraine improve quality of life in migraine sufferers? 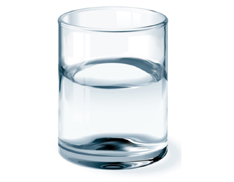 How do you take MediMigraine to treat migraine headaches? Why does joint pain occur? Is there help for joint pain? Why choose natural joint pain relief over acetaminophen or acetylsalicylic acid (ASA)? How does MediJoint Pain provide natural relief of joint pain? What does MediJoint Pain do? How do you take MediJoint Pain to relieve the pain in your joints? How can you prevent joint pain? Why is joint and cartilage health so important? What causes joint and cartilage deterioration? How can you keep your joints healthy? 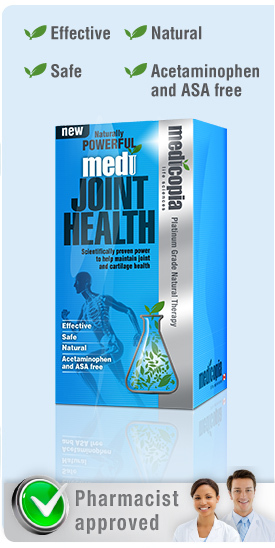 How does MediJoint Health improve the health of joints and cartilage? Naturally powerful MediJoint Health helps maintain healthy cartilage and joints. Adults should take 1 capsule 2 times per day. Use for a minimum of 4 weeks to see beneficial effects. Warnings: Consult a healthcare practitioner prior to use if you are pregnant or breastfeeding. Consult a healthcare practitioner if symptoms worsen. Next >> Why choose MediJoint Health?